Many of us begin a year with good intentions; run a marathon, go vegan, get a new job - they’re all goals that may improve our health and lifestyle. However, no matter how good your intentions, there’s a subtle difference between being happy because you’ve achieved a target and being happy with the way reaching that target has changed your life. Sometimes small changes can lead to bigger effects. We learn as we do and improve with every challenge. When it comes to our careers, when you’re busy working 9-5, running a home, and perhaps looking after a family too, baby steps are easier to fit into everyday life than great leaps. Shelley Kendrick, Managing Director, Kendrick Rose, said: “Companies and industries are constantly changing so even if you’re happy with your job, remaining static may mean your career will move on without you. The Mercer 2018 Global Talent Trends Survey found happy employees are three times more likely to work for firms with a strong sense of purpose. Working with a sense of purpose can boost morale, motivation, productivity, and job satisfaction. However, according to Mercer just 13% of companies surveyed offer an employee value proposition (EPV) with a purpose driven mission. Using your skills in a way that you can see how what you do has an impact on the business and on clients can make a role more satisfying than salary alone. Never underestimate the power of a genuine ‘thank you’, sometimes it’s as simple as getting recognition for what you do. Reflect on your USP (unique selling proposition), what you excel at and most enjoy doing at work and consider how you can develop this talent to add more value and help the business improve what it does. If it’s not possible to do this in your current position, perhaps it’s time to consider looking for a new role that lets your talent shine. Networking is about meeting new people, but you need to nurture your network if you’re going to develop relationships where you know people well enough to be able to help them or let them help you. Take time to cement your connections. Look at LinkedIn profiles properly rather than just clicking ‘connect’, read articles and blog posts your connections share on social media, and comment to show you get what people are saying. It opens up dialogue so next time you bump into each other at an event you’ve got more to talk about. According to research by the Adler Group for LinkedIn, 85% of vacancies are filled by networking ‘of some sort’. 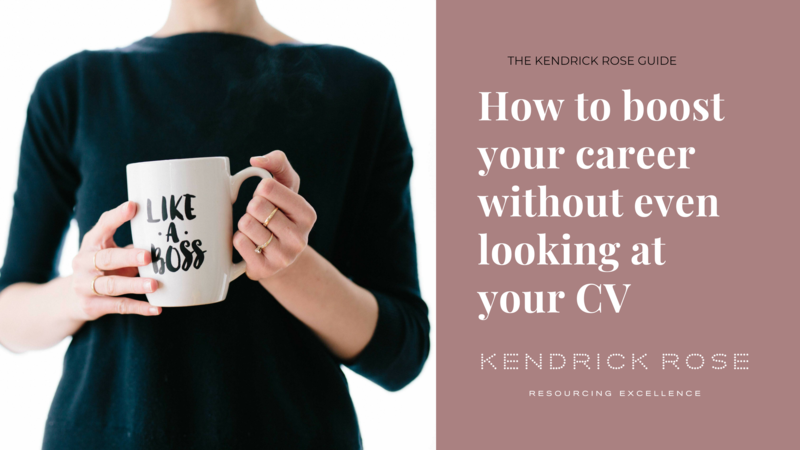 While this sounds like a lot of networking, if you consider the amount of networking an executive recruitment agency like Kendrick Rose may do to link candidates with clients, it’s possibly not that extreme. While building your own network is important, building networks with people who can connect people is an even better strategy. A report by Barclays found nearly 60% of UK adults lacked a full set of core transferable skills needed for employment in the future. These skills include proactivity, adaptability, leadership, creativity, resilience, communication, and problem solving. The study found a third of employers are not planning on offering training to help staff gain these skills, meaning many of us will need to look outside work if we want to develop. Night classes, online learning, and weekend courses give you the chance to get new qualifications while working. In Jersey you may find courses through Highlands, or through professional bodies running training in the Island. However, if you’re not needing formal qualifications or need to log CPD hours, the options are much greater. Many companies run free conferences which are open the public, where you can get an expert insight into business-related topics such as cyber security, GDPR, and Artificial Intelligence while Digital Jersey hosts digital skills courses, including digital marketing and coding. Pilates for breakfast? Kale for lunch? We might start on a healthy high but if we end the day swilling down stress with vodka in order to sleep, something is going to give. The Kendrick Rose Digital Detox Survey last year found 84% of Jersey professionals were checking emails outside working hours, with 21% of people doing this because they felt their company expected it. Mercer’s 2018 Global Talent Trends survey found one in two employees would like their company to place a greater emphasis on wellbeing. This includes physical, emotional, and financial wellness. Sometimes eating well, exercising, and looking after yourself get deprioritized for deadlines, crises, and too much hard work. The only way to change this is by treating your body like your top client, focusing on things that are good for your health and that make you feel good. Go to the gym. Buy the avocado that costs more than a small car. Switch off your phone and relax in the evening. You only have one body and one life. There’s a myth that working for yourself is easier than being an employee. As a freelancer you only get paid if you deliver. If you run your own business, your staff only get paid if your product, service, and vision deliver. Not everyone can take the risk of being an entrepreneur, but everyone can embrace the enthusiasm and drive that push entrepreneurs to succeed and you don’t need to own a company to own your role. Focus on what you control and do it well. Take pride in what you do and care about the impact it has. Start by being more proactive, thinking about the long-term impact of projects rather than short term benefits. Skin in the game comes at a price though, the more invested you are in a job, the more you care whether things go wrong. In his book, Skin in the Game, Nassim Nicholas Taleb, argues that accepting the downside of risks you take is vital for a fair society. So, if you invest more personally in a job, and accept the downside e.g. you will probably work harder; you should also expect to get a return on the upside e.g. a good bonus, stock options or perhaps scope to become a partner in the business.